I love notebooks. Really I do. I’ve got tons. There’s nothing that eclipses the feel of paper and pen meeting when I thinking about creating something. As much I’m a digital being, nothing will ever beat old fashion writing on paper. I’d love to merge my passion for writing on paper, with my digital self, in a true sense not by using a stylus on a tablet. 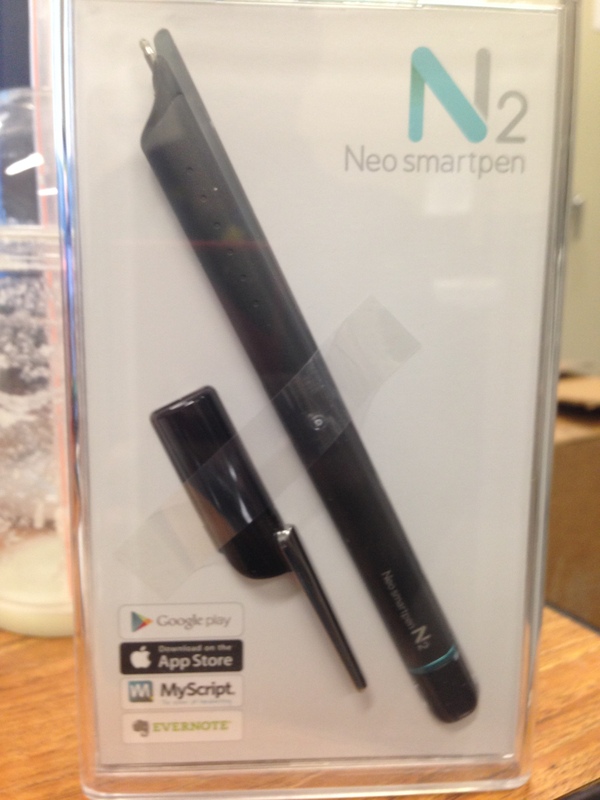 Enter NEO SMARTPEN. One of the Best Kickstarter Campaigns I’ve ever backed. I love Kickstarter and I troll there about five times a day looking for innovative ideas that will make my life more fun, more efficient, or just cooler. I hit a home run here. You could use the N2. It syncs to your tablet or smart phone via an app. Once synced, it will copy stroke by stroke what you write in your handwriting. It will also transcribe and video/audio record what’s going on. It also allows you to email through your notebook, the app, or Evernote. Quite nice. integrate with Dropbox, Google Drive, Box, etc.